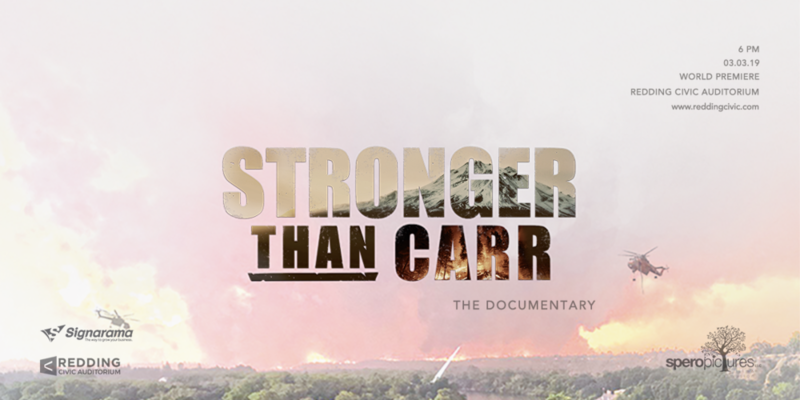 Honor the heroes of the Carr Fire as we premiere the STRONGER THAN CARR documentary. Hear from first responders in a series of speakers, and thank those who saved our community. This is a free event, with an option to donate to the planned Carr Fire Memorial art installment. Please join us for this special event, as we continue to heal and rebuild.